Define the innovative design strategies employed in projects drawn from Architectural Record's Stadiums Building Type Studies. Explain the community and user benefits realized by the innovative design features for each of these projects. Discuss how the design teams optimized these environments for performance. 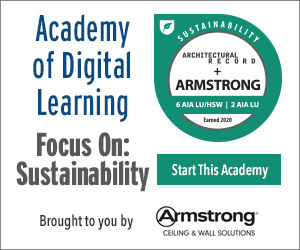 Describe the range of approaches for efficient, high-performance design employed by these innovative projects. This course will look at Architectural Record Stadiums Building Type Studies and project overviews, with a focus on innovative design practices, strategies, methods, materials, and community engagement used to support and enhance a variety of arenas and sports/recreational facilities in the United States and abroad. 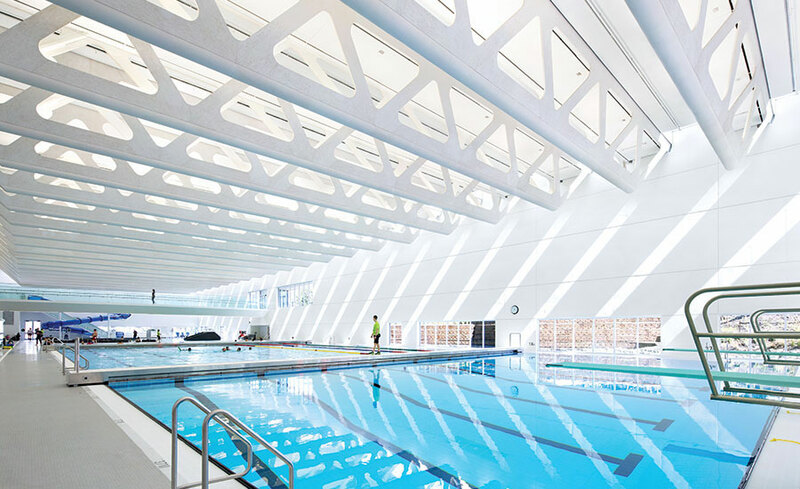 Designed by MacLennan Jaunkalns Miller Architects, a public aquatic center surrounded by a park in a mixed-income city housing development proves public recreational facilities needn't skimp on high-concept design. Winning Playbook: HNTB Architecture and STUDIOS Architecture team up to give a 1920s-era stadium at the University of California, Berkeley a seismic retrofit and expansion that respects its history. Formula for Success: Miró Rivera Architects creates a sprawling, zoomy venue for motor sports, music, and more in the capital of the Lone Star state. Beauty and the Behemoth: SHoP deploys digital technology and imaginative design to give Brooklyn's Barclays Center unexpected civic presence. The gargantuan structure sits just beyond several neighborhoods of quaint brownstone rowhouses characteristic of this New York City borough. A Landmark Reinvented: GMP transforms Kiev's storied Olympic Stadium by sheltering it under an elegant cable-supported roof.